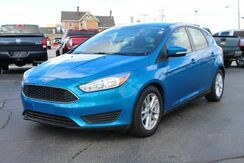 Preferred Auto Illinois Road is honored to present a wonderful example of pure vehicle design... this 2017 Ford Focus SE only has 18,195 miles. The 2017 Ford offers compelling fuel-efficiency along with great value. You will no longer feel the need to repeatedly fill up this Ford Focus SE's gas tank, in part because of its superb EPA rating. It's not often you find just the vehicle you are looking for AND with low mileage. This is your chance to take home a gently used and barely driven Ford Focus. 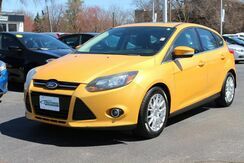 Based on the superb condition of this vehicle, along with the options and color, this Ford Focus SE is sure to sell fast. This model sets itself apart with strong value and low price of entry. AUTOCHECK REPORTS ZERO ACCIDENTS, 1 OWNER -- SYNC AUDIO, BACKUP CAMERA, SPORTY HOT HATCH! 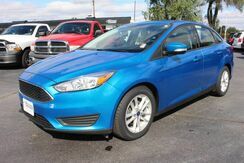 This outstanding example of a 2017 Ford Focus SE is offered by Preferred Auto Fort Wayne State. There are many vehicles on the market but if you are looking for a vehicle that will perform as good as it looks then this Ford Focus SE is the one! The Ford Focus is a small car that offers a number of features otherwise seen in larger or more luxurious vehicles. Technology aside, the new Focus stands out from the class for its excellent handling and poise, sporty driving feel and impressive fuel economy. Looking for a clean, well-cared for 2016 Ford Focus? This is it. Save money at the pump with this fuel-sipping Ford Focus. It's not a misprint. And the odometer isn't broken. This is a very low mileage Ford Focus. A rare find these days. Thank you for your interest in one of Preferred Auto Illinois Road's online offerings. 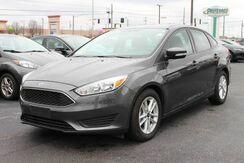 Please continue for more information regarding this 2016 Ford Focus SE with 52,056mi. Why spend more money than you have to? This Ford Focus will help you keep the extra money you'd normally spend on gas. 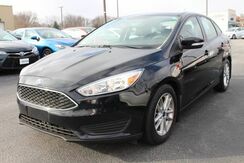 There is no reason why you shouldn't buy this Ford Focus SE. It is incomparable for the price and quality. The Ford Focus is a small car that offers a number of features otherwise seen in larger or more luxurious vehicles. The Focus stands out from the class for its excellent handling and poise, sporty driving feel and impressive fuel economy. 1 OWNER! CLEAN HISTORY REPORT! REAR BACK UP CAMERA! KEYLESS ENTRY! BLUETOOTH! 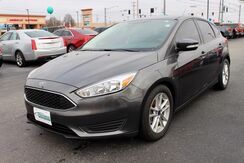 This 2015 Ford Focus SE is offered to you for sale by Preferred Auto Fort Wayne State. The impressive Ford fuel-efficiency will make you quickly realize what you've been missing out on in life. It's noteworthy fuel economy and minimal emissions make this vehicle's value a cut above the rest. 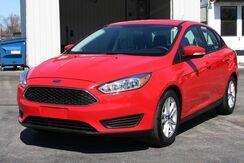 The Focus SE has been lightly driven and there is little to no wear and tear on this vehicle. The care taken on this gently used vehicle is reflective of the 47,546mi put on this Ford. This model sets itself apart with fuel-efficient powertrains, sleek, charismatic style, handling and poise, fully electric Focus available, sport-oriented ST model, Innovative technology such as Active Park Assist and MyFord Touch, and choice of hatchback or sedan.